The PS4 has been the dominant console this generation, no question. And this year Sony’s machine (which has sold more units than you can shake a stick at, leaving rivals like the Xbox One in the dust) will turn five years old, leaving many pundits and gamers thinking that maybe it’s time for Sony to put out a next generation machine. However, the PlayStation 5 or PS5 (or what it ends up being called when it hits shelves) won’t be shipping this year. Mark Cerny, Sony’s lead system architect, said as much in a recent interview with Wired, in which he also revealed the first details about the Japanese company’s eagerly anticipated console. One interesting aspect of this new machine is backwards compatibility – after having left this feature out for the PS4, Sony is bringing backwards compatibility back for its next-gen console, which Mark Cerny himself isn’t calling the PlayStation 5 (at least not yet…). The addition of backwards compatibility to Sony’s new console will definitely be a boon for users switching to the new console, as their entire catalogue of PS4 video games (which in all truthfulness includes some pretty fantastic games) will still run on their new console. Also eye-popping is the fact that the new machine will include an SSD drive. These ultra-fast drives are becoming increasingly common on PCs these days but have been absent from mainstream consoles to date. And the benefits of the PS5 having an SSD drive instead of a traditional hard drive cannot be underestimated, with Cerny showing how load times could be reduced from 15 seconds on the PS4 Pro to less than a second when playing Marvel’s Spider-Man on Sony’s new console thanks to its custom SSD drive. A solid state drive is definitely a plus and something not to be scoffed at (and according to Cerny it was also a much-requested developer feature), but I worry that this might push the console’s price up. Back in 2006, Sony made a mistake by launching the PS3 at close to $600 US dollars, something which gave Microsoft’s Xbox 360 an early lead over its rival – here’s hoping the Japanese company doesn’t make the same mistake twice. Sony’s next-gen console will also be decked out with a third-gen Ryzen processor from AMD, which like the PS4’s processor will sport 8 cores. However, thanks to the improvements of the Ryzen architecture, this can be expected to be much faster than the brains of the PlayStation 4, that’s for sure. And thanks to AMD’s Navi graphics processor, their next-gen console will also be getting ray tracing support. This is a graphics rendering technique which, amongst other things, allows more realistic lighting in scenes, and which recently became available on consumer graphics cards for PC too. There’s no doubt that Ray tracing support on PS5 could mark the beginning of a new generation of graphics – it’s almost a certainty that we’ll be seeing graphical effects in games which have been hitherto impossible for developers to achieve using the current generation of technology. However, no matter how thrilling it may be to get the first details of the technology behind the next PlayStation console, Sony’s new machine sadly won’t be shipping in 2019. And with Sony skipping E3 this year, we won’t get any more revelations at the big show in Los Angeles this year either. 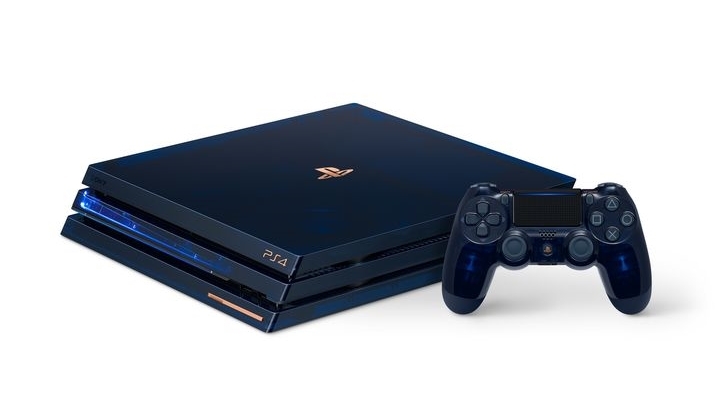 Here’s hoping, though, that Sony provides more details to PlayStation fans and console gamers sooner rather than later, and that its new console does turn out to be another machine worth buying when it’s released at some point in the future.